Fans of Ninety Percent are all about feeling good - aside from the brand's incredibly soft basics, they also donate 90% (hence the name) of profits to charitable causes and even allow you to choose between the four options. 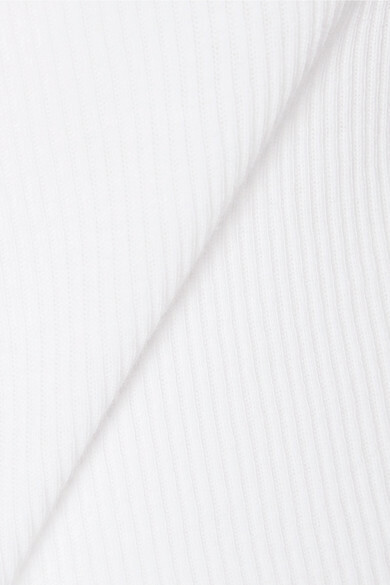 Made from organic cotton-jersey, this white ribbed camisole has thin straps and a flattering slim fit, so you can wear it comfortably solo or layered under a jacket or blazer. 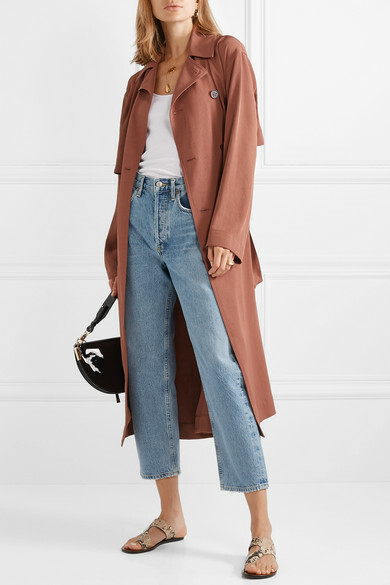 Shown here with: Acne Studios Trench coat, AGOLDE Jeans, Chylak Shoulder bag, ATP Atelier Sandals, Alighieri Necklace, Loren Stewart Earrings, 1064 Studio Ring, Jennifer Fisher Cuff, Alighieri Necklace.